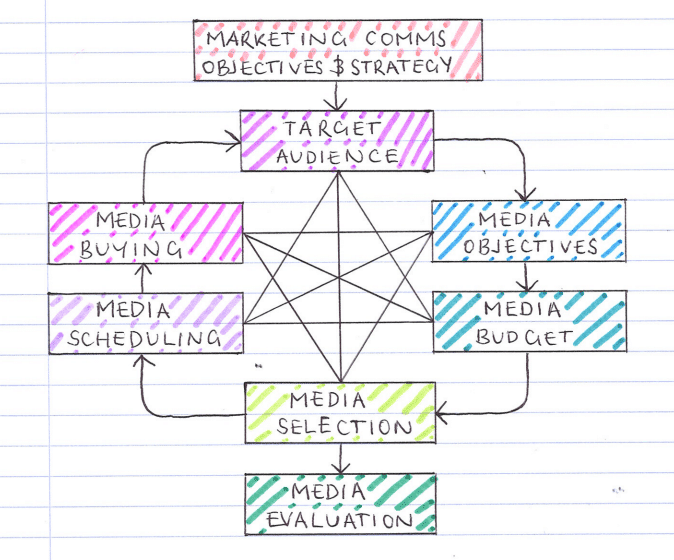 This week’s lecture notes will look at how the media implementation cycle fits into marketing communication planning, and how we might measure effectiveness across multiple channels. Before diving into the media implementation cycle, we must first look at the different types of media available. Using media will support communication planning, as it allows you to consistently promote company messaging through channels that your prospects are using on a daily basis. Media implementation strategy needs to be planned systematically. Pickton & Broderick (2005) developed the media implementation cycle to be used as a planning framework for media activities. The media implementation cycle features coherent activities including media strategy planning, scheduling, target audience, and media selection, right through to media evaluation at the end. How do we use the media implementation cycle? Marketing communications objectives and strategy: This is the first step in the framework, and it means that your objectives and strategy need to be set ahead of planning media implementation. For definitions on objectives and strategy please see my last blog. Target audience: Your target audience/ audiences are the people that you intend to reach with your media marketing communication messages. Media objectives: In this section, you should outline what you plan to achieve in terms of media reach, the frequency of activities, and the impact of messages. Media budget: The budget of the media plan will vary depending on company size, but any budgets should be relative to the objectives you plan to achieve and segmented by each platform to give better analysis for financial resources for each activity. Media selection: These are the range of media channels you plan to use to communicate company messaging to your target audience. Media scheduling: The process of planning the frequency of advertising, and when you plan to place your ads. Media buying: Speaking with publications to seek the best advertising rates or the process of purchasing other media promotion methods. Media evaluation: The assessment of how well your media advertising performed, you may wish to evaluate advertising based on click-through rates or uplift in sales. 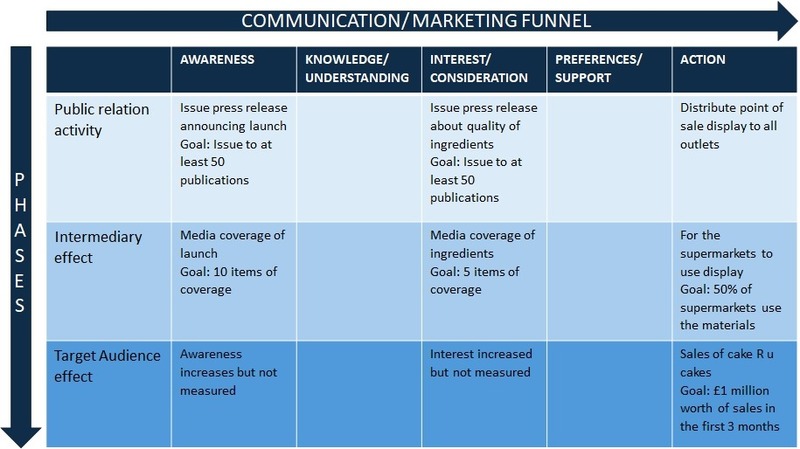 The majority of these steps within this media planning framework concern the reach, frequency, and impact of messages communicated to the prospect. How do we measure the effectiveness of different communications? Using a variety of channels really brings a bundle of benefits. However, measuring all these channels alongside each other can prove difficult as each channel will have a slightly different way of analysing metrics. For example, when reviewing advertising stats, you could be looking at click-through rates and impressions. When reviewing a contributed article that you have earned, there’s simply no metrics you can pull out from it except the number of people the magazine was sent to. Even when taking the circulation figure, that doesn’t really tell you the actual number of people that read or even acted (such as visited the company website to find out more information) from reading the article. The challenge is real. Seeing an uplift in sales is one of the most used methods for measuring the success of campaigns. It doesn’t provide granular detail on what assets were performing best but it does provide you with real stats that indicate how well your overall marketing is doing. Another key indicator is the number of direct responses your company is receiving from new prospects such as incoming calls, redeemed vouchers, and higher email open rates. It is important to factor in that the results for some of your marketing communication plans will be long term, such as brand building. While some of the media advertisement may bring direct short-term business such as sales, others will have longer lasting results. With our Integrated Communication plan hand-in just around the corner, we decided to look at identifying appropriate SMART communication objectives and how to recommend integrated marketing communication (IMC) plans. In this blog, we’ll explore the strategies in an integrated communications plan and how it helps raise company profile and brand image. What are Integrated Marketing Communications (IMC)? It has been around for a while and it’s still very valuable, as it ensures that all your messaging is aligned to support the desired brand image. The key point to remember is all internal and external messages should be consistent and aligned to support the brand identity; Brand identity can be developed by using brand building models. For more information on IMC please check out my blog on Integrated Communications. So, you will need all of them for the plan, but what differentiates them apart? Before you start any plan, knowing this is crucial. Objectives – These are measurable and there are usually multiple objectives within a marketing plan. Objectives should be SMART (Specific, Measurable, Achievable, and Time-bound). We have a SMART Objective Generator you can try out. Strategy – This is the ‘What’ that builds out a plan, within the strategy you should answer ‘What are you trying to accomplish?’. Tactics – These are ‘How’ you will achieve the goals you have set, they are the specific activities that need to be carried out. When it comes to marketing communication planning, there are 3 different methods you can base your strategy on, and these are the 3P’s of marketing communication. 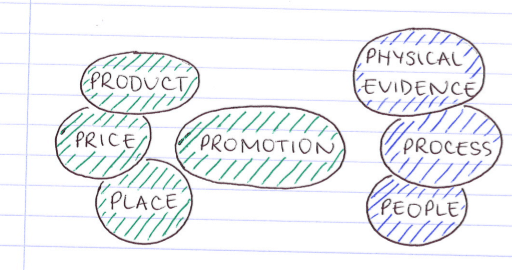 A push strategy forces the product down into the distribution channel by putting emphasis on product promotion. A pull strategy is used to satisfy corporate promotional goals and involves communication between customer/ consumer to attract them to purchase from retailers and distributors; Businesses use a profile strategy to develop corporate promotional goals. The push strategy aims to get the product to marketing without spending a massive amount on advertising, this is where direct and personal selling is used to acquire customers. Businesses tend to use trade shows for this strategy as a chance to use personal selling against industry figures attending. Push strategies work best when the purchase decision is low-level and usually unplanned or described as an impulse buy. Also use this strategy if there is a low brand loyalty and there is good substitute/ alternative products available to the consumer. This is a good strategy for consumers who are familiar with the product. Unlike the push strategy, pull strategies are softer, promotion heavy and directed towards the end user. Lots of promotional offers are needed to support the campaign. The additional advertising used in this method means the total cost is considered as high. If product demand is high, then it signifies that a pull strategy would be relevant. Also, if you have clear product differentiators that are based on emotional or real features. For consumers that tend to make brand choice decisions before they go to the shop, and if they have a high brand loyalty then this method is also suitable. Developing a profile strategy is a little different from the other two methods. It aims to build brand awareness and perception, which is done through positioning and brand identity development. The strategy is about sustaining communication with stakeholders and keeping them in the loop with company updates, often done through monthly newsletters. 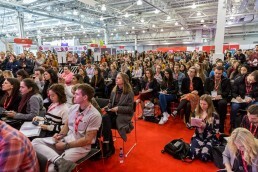 Marketing Week Live (MWL), well it’s probably one of the most hyped marketing events in the UK. As you can imagine it got very busy, so don’t make the mistake of wearing heels. The time I spent at MWL this year was valuable, as I spent the day attending sessions, and connecting with existing and potential suppliers that Napier could work with. As a word of advice, if you are considering attending next year, then remember its beneficial to get to the talks at least 15 minutes early. Or you risk the chance of sitting on the floor or standing at the back peering over everyone. The reason for this is simple, people now shop across many different platforms at the time they wish. People are now more likely to pop back and continue shopping from a different platform to before; making it incredibly hard to track customers from start to finish. We have moved on from measuring petty clicks and into a new exciting era of measuring impact. Now it is all about tying marketing revenue with deep insights into customer journey and touch points. Touchpoints that lead to sales. Many companies are still not taking a structured approach for testing, for reasons such as no optimisation roadmap/ framework, lack of understanding of A/B testing, and lack of buy-in from leadership teams. 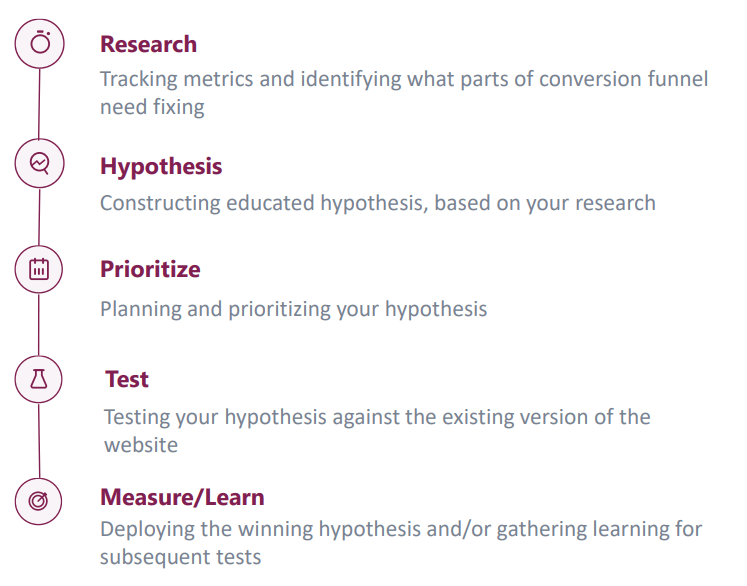 What methods would we use to measure the effectiveness of a conversion rate optimisation program? Heatmaps: The simple answer, they visually show which parts on page people are mostly looking at/ using, this identifies which pages are selling. Scroll maps: They tell you how long people are scrolling down the page; And which pages are keeping customers engaged the longest. Session replays: A very easy feature to use, they enable businesses to record, save and replay interactions their visitors have on the site. They will help you understand why a customer may have left the website without doing anything. Surveys: For insight into the effect of word of mouth on your direct traffic. Form analytics: To help you build an understanding of how visitors interact with every form field. After last week’s lesson, on the importance of brand and product management. This week we explored how we use models for brand building. We also explored the different types of brand attributes. Brand characteristics can come in two varieties, these are intrinsic and extrinsic. It’s important to remember that the decision to purchase a product or service will be based off one of these types of attributes, both attributes play a part in what makes the customer buy. Intrinsic attributes of a product refer to its basic functional characteristics such as performance and shape. If an intrinsic characteristic of the product were to change then this would impact the product directly and not necessarily the brand. The other characteristics that a product can have are Extrinsic, which are not directly linked to the product itself. Extrinsic attributes derive from the brand name, marketing communications and messages, packaging, and price to name a few. These are all features that affect the perception of the product and often help customers to distinguish one brand from the next. Consumer mindset – Using the right brand model you can identify the consumer’s mindset, as well as attitudes and behaviours towards your brand. Predict the future – Brand models will ask the ‘what if…’ questions to predict likely outcomes. With the future outcomes in mind, you can then start to consider future actions you might take. Providing information – Provides information that leads to insights that will help you achieve business goals. 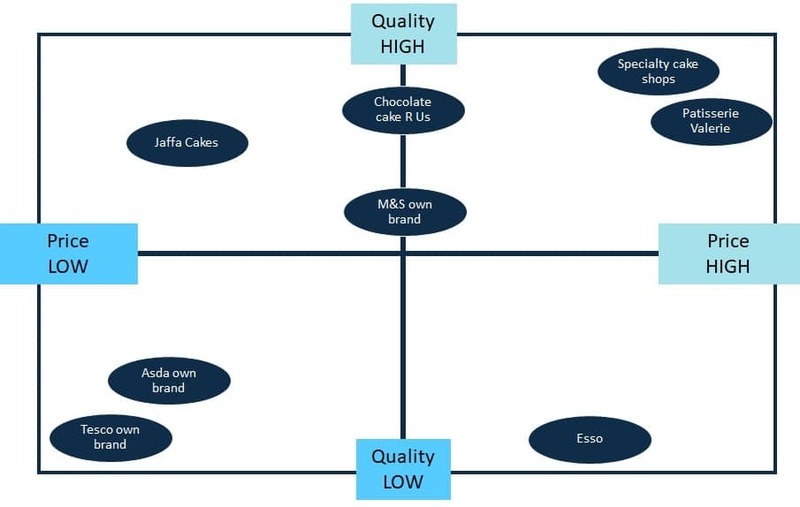 Quintessential framework – A brand model gives you the full overview of what your brand does, and why they do it, that’s why we say it’s the quintessential framework for evaluating and decision making. Kapferer’s Brand Prism (2004) is one method used in brand building, “Jean-Noel Kapferer’s Brand Identity Prism, which holds that brand identity occurs in a nexus between corporate image and consumer perception” (Anderson, 2010). Anderson points out an important part of the prism - that it incorporates the connection of a brand’s outward/ external expression on the left and the internal expression of the brand on the right. This model is used to determine the brand personality, and once it has been identified, it can then be built and consistently communicated. The diagram below provides an overview of what the brand prism model might look like for Napier. Providing deeper insight into understanding our brand and how we can build upon it:. The customer value proposition is a marketing statement, that is designed to persuade. The CVP perswades prospects on the benefits of a specific product/ service. It’s more of an external message for customers and prospects rather than an approach for internal use amongst employees. The customer value proposition can be put into three categories, there is benefits, points of difference, and resonating focus. 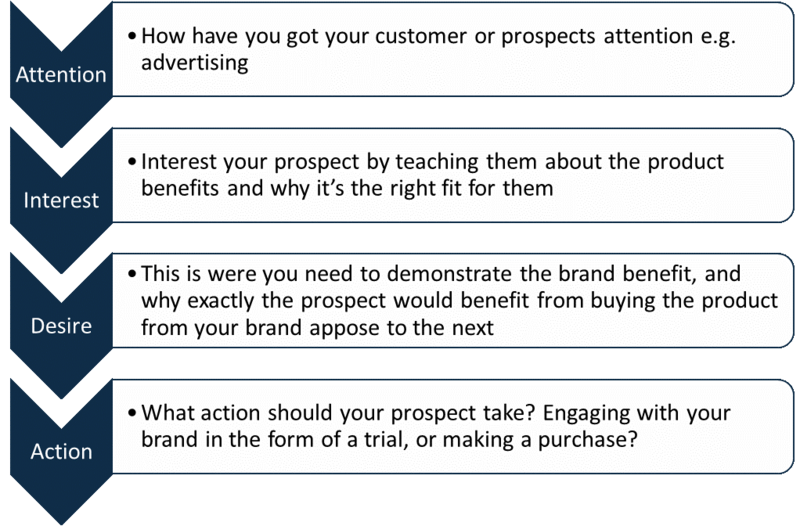 The main challenge for marketers is how exactly we communicate the CVP to prospects. This week we learnt how, as a company we build a successful brand and communicate this with our customers. Organisations can sell their products or services, but it all comes down to the fact that customers buy because they believe in your brand and not just your products and services. Successful brand building is at the root of a profitable business and one of the biggest hurdles that a marketing team will face. Marketing’s role serves to generate brand awareness and to strengthen brand image as a strong brand will generate profits. Product management involves being responsible for understanding customer requirements and implementing changes to product ranges. Funnily enough, products are managed by product managers, and this means that they are responsible for adding particular products to ranges or discontinuing old products when they reach the decline phase of their product lifecycle. I have touched on the product lifecycle, also called the Diffusion of innovation model before in CIM, it’s the breakdown of the phases that a product will go through, starting with its introduction, through to decline phase and is demonstrated in the diagram below. Each organisation needs efficient resources to maintain successful business, and these resources need to be effectively managed and allocated. 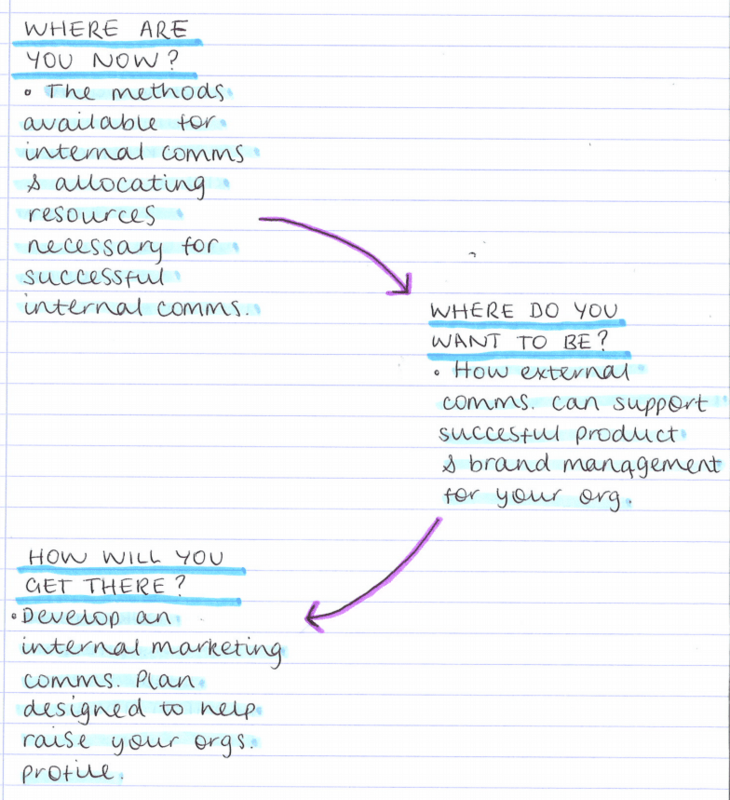 Last week we talked about the benefits of internal communication, which leads into why some organisations will employ an Integrated Marketing Communications (IMC) Manager. This manager will specifically handle the responsibility of communications management and internal marketing. A good IMC manager will ensure that there is a constant flow of communication, both internal and external. Physical Resources - They vary depending on the organisation but for some this will include physical manufacturing capacity, retail outlets and office buildings. Human Resources - Is a key resource for every organisation, they include members of staff such as managerial, admin, and specialists. It’s important to remember that when employees are motivated and engaged the performance of the company will be better. Financial Resources - This area is usually managed by a financial specialist, and budgets are put in place. A company’s financial resources will include net worth, capital, credit reputation, cash flow and share price. Intangible Resources - Is a bit harder to put onto paper, but it a company’s overall image, branding, market reputation and goodwill attitude. How do we allocate these resources? 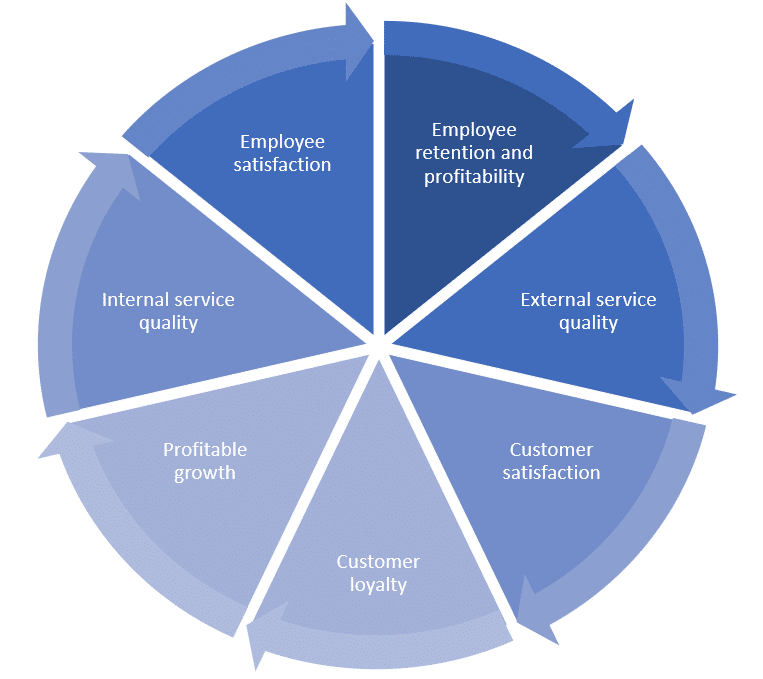 Fred Reichheld created a model called the Service Profit Cycle (SPC) in 1996 to demonstrate the links between how the company operates internally and the service performance it offers externally. Respectable amounts of employee retention and profitability means that they can afford to produce good quality external services to their clients. If there is a production of good quality of external services, then we will have happy and satisfied clients. If we have satisfied clients then they are likely to be loyal to the brand, become our promoters, are likely to purchase more/ often and recommend services to family or friends. If our clients stay loyal, promote the brand, or purchase more from their satisfaction of the service, then we will see a rise in profits. As it’s cheaper to retain customers rather than to invest in new business, this will contribute to the growth of profits. If there’s a rise in company profits, this money can be invested into internal growth such as employee recruitment, training, development, recognition, rewards and tools to aid our work and help us do a better job. If internal service quality is high, this in turn increases employee satisfaction. Employee satisfaction leads to higher employee retention rates. It is possible that the SPC can also work in reverse, so don’t get caught up in the cycle of going in a singular direction. For example, where there might be a reduction in company profits it will mean that the company must make cuts elsewhere. At every point in the chain there is chance for positive or negative effect e.g. the level of customer satisfaction will affect the level of customer loyalty, if customer satisfaction is high, it will increase customer loyalty; Likewise, if customer loyalty decreased, then profits are also likely to decrease. Congratulations to Gunnar Knuepffer who has joined the Huthig electronics team as the new online editor. 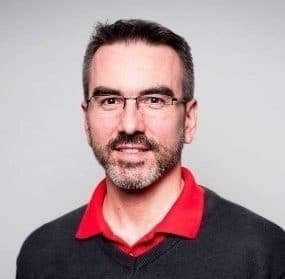 Formed of AUTOMOBIL-ELEKTRONIK, elektronik industrie, elektronik journal, emobility tec and www.all-electronics.de, Gunnar joins the team after previously working as the editor for Produktion. 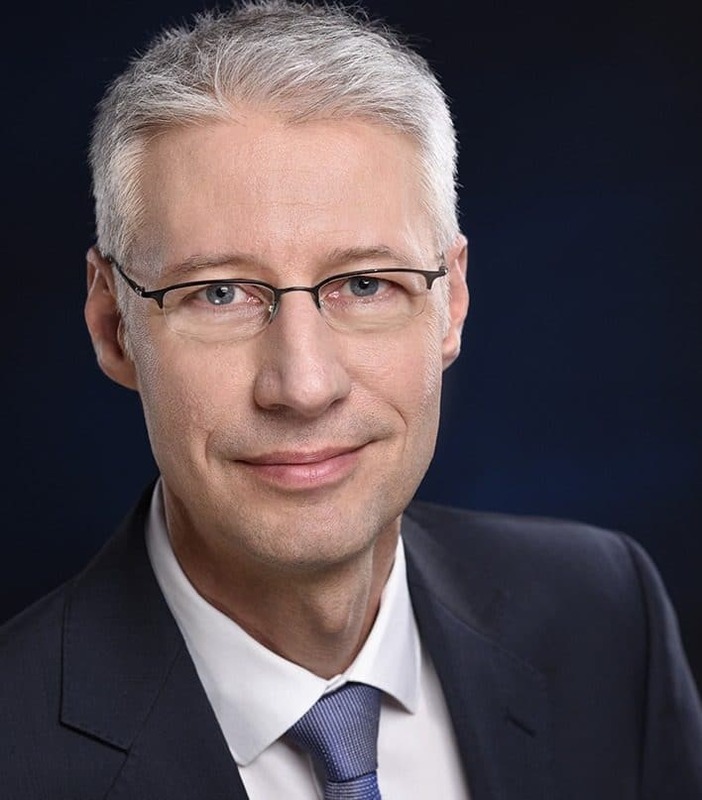 Gunnar replaces Therese Meitinger who has left the company to find a new role outside of the electronics industry. We wish her all the best in her new role. In this lesson we learnt the benefits of internal relationships in the workplace and what they mean to the company and employees, and the different methods available for communication. Internal relationships introduce a decentralised approach. This means that key decisions are not made at the centre of a business (senior management), meaning that the decisions are delegated further down the chain, a decentralised approach. Internal relationships prevent silo mentality, which is an attitude that some organisations might have. Silo mentality occurs when members of organisations do not wish to share information or withhold information from others within that organisation. Motivated employees who more loyal, because we are all more motivated to perform well on a task if we know what we are trying to achieve. Cohesive team working, a cohesive team are able to comfortably converse with one another to communicate strengths and weaknesses, commit to decisions and are not afraid to engage in conflict around ideas. Cohesive team work steams from having a good internal communication structure in place. Which nicely moves onto the next point of preventing conflict, poor communication is one of the biggest causes of conflict within a company. It leads to misunderstanding and can occur if a manager asks an employee to relay an important message to another employee, but the employee fails to relay the intended message. It encourages innovation, because interdepartmental communication encourages people to share ideas about their work outside their usual team and as the ‘pool of ideas’ is larger and sparks innovation for knowledge-based ideas. For example, a sales team will see more success if they speak with marketing who might have more insight into what prospects are reacting well to in terms of marketing content. More satisfied customers are a result of an organisation having a customer focus throughout all areas of the company. Departments that talk with one another have much more insight, and better idea of the bigger picture. Once this communication between teams develop, information is easily shared and used to the customers advantage. And lastly staff that feel empowered to influence a policy that affects them, creating a vision and sharing it with the team will urge people to help achieve it. Transparency in communication is how you deliver the message to everyone. Congratulations to Mark Gradwell, who has been confirmed as the new Editor at Electronic Product Design & Test (EPDT). After joining his role as a Consultant Editor in May 2017, Mark will step up to move into his new role as Editor from January 2019. Mark will manage full responsibility of EPDT content across print, digital, website, newsletters, social channels and live events. EPDT is a big player in the electronics market providing news on the whole electronics product development and manufacturing cycle. We are sure that the success will continue with the appointment of Mark Gradwell as Editor. EPDT ensures us that there are already many exciting plans in the pipeline! Landing pages - What are they? And why do you need one? Landing pages are a vital part of any B2B inbound strategy. Once you have your content, you can use landing pages to inform potential customers why they need it, and what they will gain from it. Promoting your content also gives you the unique opportunity to collect useful insights about your customers by including a form they must fill out in exchange for the content. A landing page is a standalone webpage promotes an offer, usually a piece of content, with the aim of getting them to part with their contact details by completing a form. After filling out a form the visitor is directed to a thank-you page; you guessed it... it’s a page that says thank you for filling out the form. The visitor will either be able to download the content from this page, or it can also be sent to them via email. There is a common misconception that landing pages are time consuming and not worth the hassle, however with the marketing automation platforms that are available today, they can be easily created using templates and drag and drop features while still looking professional. A successful landing page will be focused on achieving one goal, this could be for a visitor to fill out a form, complete a survey, access a free trial, or download a free content offer. Landing pages that tend to have the highest conversion rates, will be aimed at a specific target audience segment. This means that the content you are offering is relevant to the person it is aimed at and it should be something that the person will see value in. Another tactic to consider when developing a form for a landing page is progressive profiling. This is a useful technique for gathering information about the people you are targeting. An example of this would be a person who is returning to your website having previously filled out a form on another landing page. You could ask that visitor a question they haven’t been asked before, for example what their biggest marketing challenge is. Lastly, the value of the content that you are offering should be reflected in how much personal information you are asking for. If you are offering a marketing checklist for example, then you shouldn’t request much more information than a name and an email address. On the other hand, if you are offering an informative eBook then people might be more willing to give you a bit more information in the form fill. At the end of the day you are looking for conversions, so you need to present an offer that’s worth filling out the form for. - Have an interesting heading that showcases the value and tells prospects exactly what you are offering. The headline is the most critical component, remember that readers will scan landing pages, and therefore your headline shouldn’t be too long. - This means removing your usual navigation that sits at the top of your page such as the about us page/ contact us page. The goal is to get people to fill out the form and you don’t want to risk directing them somewhere else. - Landing pages should always have a compelling picture, as this gives visitors a better idea of what they will receive and make the page more visually appealing. Just make sure it’s relevant to your offer. - These links will enable visitors to share your landing page on social networks. This will grow the reach of your landing page to fans and followers. - As I mentioned earlier a landing page should be followed with a thank-you page which thanks and provides prospects of details for the next steps of receiving the offer. Thank you pages can also be used to promote additional related content, frequently in exchange for further information from the visitor. This module is about understanding the value and importance of good internal and external communications. Effective internal communication is key to building sustainable relationships and delivering customer value. It’s about delivering consistent, and transparent messaging throughout the organisation. Making sure that everyone is on the same page and working towards the same objectives. For a business to be successful it needs motivated individuals. Communication management responsibilities help both allocation of resources to different areas of the business and motivate individuals by understanding their needs and working with them. Communication strategy is now an essential method for improving business effectiveness. It’s more than just notifying staff about company announcements, it’s about putting a structure in place that binds the team together. A communications strategy helps employers guarantee that they are meeting these needs. For this module we will be writing an integrated communications plan for our chosen organisation, before we start this plan it’s good to think back to the different stages of planning. Where are you now? Where do you want to be? How will you get there? Internal marketing is crucial - but what is it exactly? It is when a company treats their members of staff as internal customers/ stakeholders. The idea of this, is to create a positive work atmosphere where employees form cross-functional relationships with one another and work towards a common goal. In other words, it’s the promotion of an organisations objectives, products/ services internally within the company. Companies do this to motivate employees to work towards the organisations goals and foster brand advocacy. A common goal for businesses would be to have a cross-functional team of workers, this is group of people with different functional expertise that work towards achieving the same goal. Connected (micro): Customers, shareholders, suppliers, distributors, financers, retailers. External (macro): Government, press/ media, pressure groups, local communities, professional bodies, society. This is made up of the values, behaviours, as well as social and physiological environment of a company. It’s almost like the company’s own personality, and it affects how people perceive what it’s like to work at that company. The Napier approach was designed to help ensure we deliver the best service possible to our clients. A 4-step process tailored for the B2B technology market, ensures that we are applying the right processes and methodologies. Especially when planning, but also in our daily marketing activities. This approach is a great way to stop focusing on the individual activities and start thinking more creatively about new ideas for campaigns. It’s so easy, particularly with modern marketing technology to launch a campaign with minimal planning and strategy. Achieving the best results depends upon having a process that defines things like the objective and audience and considers the best messages and tactics to achieve the results. Following the Napier 4-step process gives us the confidence that what we are producing high quality work, consistently. What: This stage is about understanding the current situation and how we can outsmart the competition. The best campaigns are built on understanding clients and their strengths. By identifying and prioritising the things that really matter, the client’s strengths are isolated, helping us to achieve business goals that make a difference. In this stage we look at the client, their products, technologies, the market and their competitors. We use a combination of analysis tools, research, and our existing experience to identify marketing and business goals. What: It’s where we identify the messages, channels and tactics that will drive prospects through the sales funnel more quickly. Identifying the people that matter allows us to classify key elements such as the personas, and buyer journey. This stage demonstrates the tools needed to increase the pace, that prospects move through the funnel. We recognise the channels that buyers are using, and use these channels to help bring them closer to reaching a decision. By building messages that will resonate with your prospects and customer; means that you are getting through to them and they will be more likely to make the decision to purchase from you. What: It’s where we deliver on campaign planning and strategy, to generate opportunities. In this stage we focus on achieving maximum impact on our tactics, from completing and delivering the work. What: It’s essential that we not only understand which campaigns have been successful, but also understand what techniques got us there. Communicating success to the client is just as important as recognising a successful campaign. The tools and techniques that we use to measure campaigns can be found in this section. It’s where we refine what we do to deliver a better return on investment. The other steps within the 4-step process involve continuous adjustments, to improve the campaign. Whereas ENHANCE takes a step back to look over the approach as a whole. In this stage we identify if the approach we are using is as effective as it can be, or we may decide to radically change the process for success. Enhance isn’t about ‘tuning our engine’ it’s more about ‘building a better engine’ (if need be). Marketing automation platforms - These platforms are highly important for tracking campaigns across all stages of a campaign, it gives insight into whether the interest from potential customers kicked off by a social media interaction, and followed that link through to the website where they decided to sign-up to a newsletter/ or even buy! 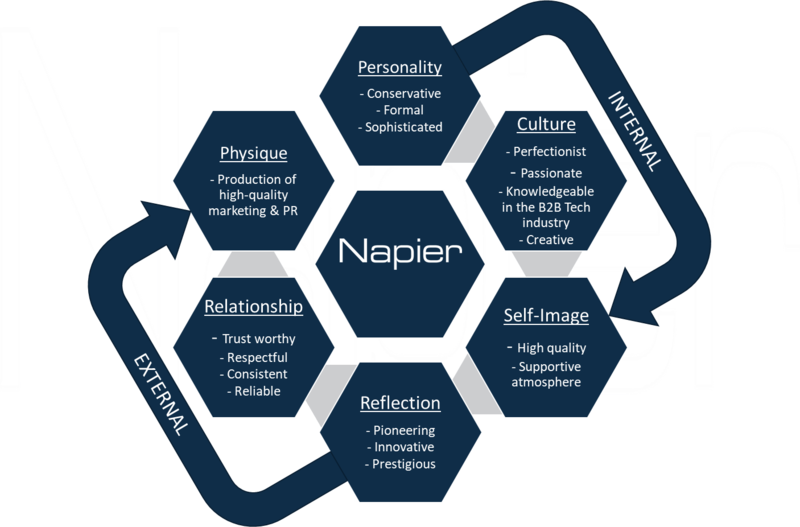 We use the Napier 4-step process to ensure we deliver the best possible campaigns for our clients, and also for Napier. The process not only generates great results, it also improves communication, both within the agency and without clients as we think about how to optimise the campaign. Stuck for tools...? Why not visit our tool box?! 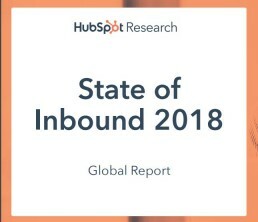 The state of Inbound 2018 report is finally here! Read on for some great stats and insights of the current state of the marketing landscape. 61% said that their marketing priority was to grow SEO and organic presence. Blog content creation followed second with 55% saying that is their priority. Surprisingly only 50% of people said that marketing automation was their priority, but I would expect this is because most companies already have this in place. 39% said ‘proving the ROI of our marketing activities’. This is a big challenge as 53% of marketers said that ‘Inbound marketing gives us higher ROI’. While 18% of people could not or do not bother calculating ROI. In the 2017 report we saw a big shift with marketers focusing more on video marketing. The 2018 report shows that YouTube is the channel most invested in with 45% of marketers saying that this is one of the channels they will be investing in over the next 12 months. But who started the video hype? Well, you may have thought this is a trend of the younger generation, but the State of inbound 2018 shows that it’s actually the senior marketing leaders who are making a stand and putting video at the forefront. Are you becoming a little anti-social? I think so... 83% of people within a business for internal communication prefer to communicate over email; with only 59% of people who would rather speak face-to-face. Looking at the other end of the scale only 32% of people want to communicate using messenger apps such as WhatsApp, WeChat, and Facebook messenger. It appears to be the C-Level executive’s that prefer using the messenger apps than VP’s, Managers and Individual contributors. HubSpot asked marketers what they think the most overrated form of marketing tactics, and by far, paid advertising was voted the most overrated. Maybe the death of paid advertising is near, there’s a few reasons this could be such as banner ads becoming too popular, or people aren’t seeing enough return on investment from them, we’ll have to wait and find out. Surprisingly, 75% of sales teams have said that instead of improving the efficiency of the sales funnel that they are more focused on closing more deals in the year to come. Now a sales team should be spending all their time on prospecting and selling, right? In fact, many reps are spending a lot of time on data entry. The report showed us that only 25% spend less than 30 mins on data entry per day, everyone else is spending between 30-120 minutes per day on data entry and other manual tasks. On top of this, the majority of senior leaders are predicting that their sales teams are spending less than 30 minutes a day on data entry and manual tasks. To download and read the report in full, please click here. 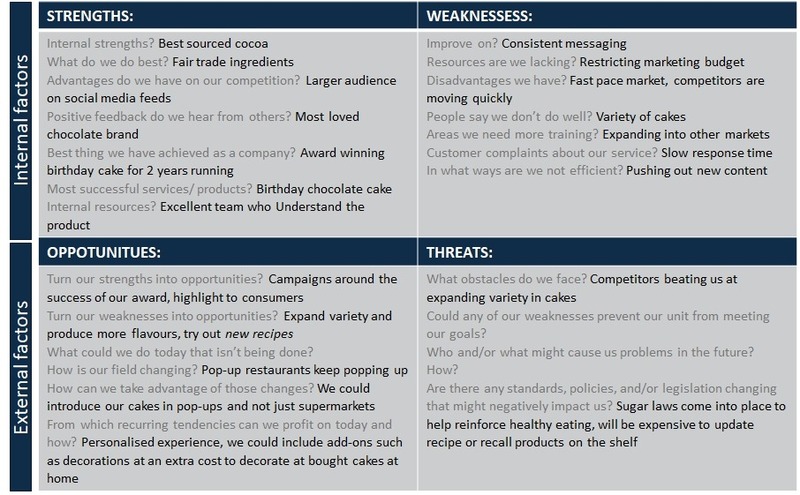 Following on from our session last week, where we explored the marketing mix and the factors we should consider when choosing your own marketing mix. 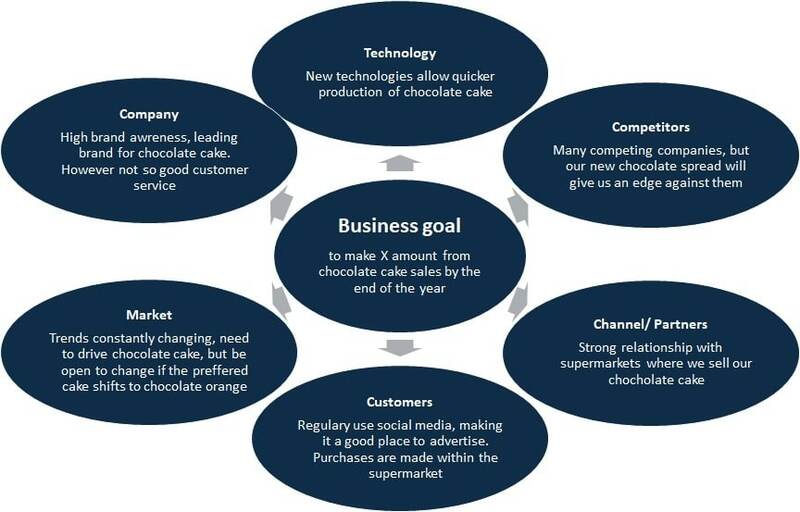 This week, we talked about how we can adapt the marketing mix to the following organisation types, business-to-business (B2B), business-to-consumer (B2C), and not for profit/ third sector, and small to medium sized enterprise (SME). Markets are dynamic, and constantly changing,. This blog in particular explains how we can shift our marketing activities in order to meet objectives that differ across organisations. B2C marketing is usually the easiest of marketing techniques as, after all, we are all consumers. This gives us lots of previous buying experience to reflect on when deciding how you cater for your audience. For this business you need to ask all the questions that will be going through a consumer’s head before making the decision to purchase your product. The simplest way to do this is to imagine you are in their shoes, what do they want to know before buying? After really diving into what they want to know and what takes a consumer to buy, you will need to tailor your marketing mix to their preferences. B2C’s use their product research and development to ensure that they are meeting their consumer’s needs and do continue to. This might include the after-sale care, such as a warranty for a phone, or added value such as ‘bundles of benefits’ which could be extra data free for a month with the purchase of a phone. Business to consumer marketing needs to ensure that their products differentiate from their competitors. This is because consumers have a shorter decision process, than say, a team of influencers within a business making a B2B buying decision. Consumers won’t see the value in your product. Your product must cater to the individual’s needs; survey’s and focus groups are a good way to conduct this research. Pricing strategies will vary depending on how well the brand is established; consumers might pay more for the brand itself even if a competitor is offering a similar cheaper product. The price needs to match the quality of the item. There are many ways that the product can be distributed to the consumer, this includes less direct options such as manufacturers, agents, distributors, retailers; and more direct options such as your company website or an in-store purchase. Techniques will vary dependant on your target audience, with online and offline techniques that you can get your business message across to your audience. The most important thing to think about is reaching your audience on the channels that they are already on, such as Facebook, or messaging on billboards in a particular area. The main difference when marketing to a business and not to a consumer is that you will be marketing to a team of decision makers, rather than a singular consumer. B2B marketing can be categorised by the type of purchase, these main purchase categories are new-task purchase, modified re-buy, and straight re-buy. For each purchase type the marketing mix will vary, this is because as the nature of purchases differ so will the marketing mix. New tasks - These tend to have a complex decision-making process, mainly because it’s a new product that the company might not have much experience with and its likely to be a major process. Unless, it’s something like buying your stationary from a new supplier, which will probably be low risk. Modified re-buys - Provided that the previous product met the expectations, then this style of purchase will be fairly straightforward as the customer knows what they want, whether this is the same as before, or a similar product with a newer modification. In this case, personal selling with personalised negotiations works really well. Straight re-buys - When a business is buying a straight forward product, for example a standard product that is used in the manufacturing of their own product. B2B companies need to make sure that their products have an advantage against their competitors, but the type of products that they are likely to be selling tend to be more complex. They might be more service based or mixed. As with more complex products, there will be an extra service such as technical advice and after sale training. In B2B you will find that there is more leeway and negotiation when talking about price of the product/ service. A lot of companies will buy directly from the supplier, this means that the distribution channel is much shorter than B2C. Key areas to think about here are transport arrangements, the storage of products, and inventory control. The ‘buying unit’ within the customer organisation is often complex and B2B organisations will usually have a sales team that build a relationship with the key decisions makers and influencers, while catering the product to meet the customer’s needs. As the products/ services of a B2B company are more complicated, the advertising and promotion will also include a lot of educational content to teach the prospect about that particular area. Advertising is most likely going to be constricted by trade publications, the messaging of these ads normally takes a more logical approach rather than incorporating emotional messaging. SME’s usually have less resources than larger companies, and with this, they might be limited in growth opportunities financially. Less resources will mean that they will take on a more hands on marketing approach and therefore have a more personal relationship with their customers. The decision-making chain is much shorter than what you would see in B2B, meaning better flexibility to cater for their customers specific needs. The distribution strategy will be simple, and promotion as it’s costly will be on an ‘all you can afford’ methodology. SME’s key to success is about finding a niche in which they can differentiate themselves from larger competitors in the market. SME’s will take a flexible approach to new business when beginning to cater the product for customers. A new SME might struggle to increase their pricing strategy as customers could question the reliability, or financial stability of a newly emerged product. A clear price structure that is based on the average price in the current market is how SME’s should begin. Smaller enterprises tend to deal directly with the customer, it’s more personal but after a while new channels will develop and the selling with be less direct. SME’s need to consider the cost of different channels and how this cost might affect the overall price of the product. Budget is often limited for SME’s promotion, and the approach is often what area of the business needs the most resources put in. You will see that SME’s will look for cheaper forms of promotion such as social media advertising, and steering clear of TV or radio ads. Digital media allow SME’s to reach a large audience geographically at a low cost, this is a better tactical approach for small businesses. Previously, marketing for not-for-profit companies was frowned upon, but today we see it in a different light. The single biggest difference between commercial marketing and third sector marketing is their objective. Businesses are looking to satisfy stakeholders, and not-for-profit organisations are looking to serve a different type of stakeholders. There might be a physical product that third sector organisations create in order to raise funds, such as a small memento, in this case there could be marketing around this product. Usually not for profit organisations is marketing a particular campaign as a service. Prices will remain the same, they might not even cover the actual cost that the organisation is paying but this will be part of the package, that say, the council is giving back to the community. This is usually high street shops such as a charity shops. However, there is an online presence for these organisations where people can donate and sign-up via a website that might have been shared through a link in an email. Not for profit organisations are very limited by their resources. As the decision makers within these charities and other not for profits will want to give the majority of their money to ‘the cause’. These organisations need to ensure that they give out the right message, and a lot of time will be spent to make sure that the message is appropriate. It must be the MOST fundamental of all marketing concepts, behold... the marketing mix! I have touched on this in a previous blog, however this was centred around the digital tools within the marketing mix. This blog outlines the key considerations when outlining your organisation’s marketing mix. This mix is about understanding how decision making takes place for new product development, what products a company should keep and of course, which products should get the sack (discontinued). Another important part of this mix is deciding what can be done to maintain your product. Modifications of existing products mean you can keep up with the pace of changing customer needs and the external environment. Products will fall into categories, whether they are consumer or business to business marketing. These categories consist of convenience goods, shopping goods, speciality goods, raw goods, components, supplies, accessories, and installations. Here’s a good blog on the product classes if you wish to find out more. There are different levels to a product or service when talking about its value, the ‘bundle of benefits’ or ‘total product benefit’ CIM like to say. It starts with the core product; which will benefit the consumer, for example with the use of a mobile phone, the core product would be communication. The next level of value is described as actual product, this is the value of the features and capabilities of the product/ service as well as any branding, packaging or design. For a mobile phone this could be the quality of the camera. The last added value of purchase is called the augmented product, this is all about the sales ‘after care’ if you wish, such as value through a product warranty, guarantee, customer service and support. This was a model that was introduced by marketers to help better understand exactly how a buyer adopts and engages with a new product or technology. I’ve previously written a blog about the diffusion model, and you can have a look here if you haven’t already. Company and marketing objectives should be reviewed when looking at the pricing strategy. This is because an organisation looking to grow their market share might need to initially reduce costs to get them where they want to be. Likewise, a company wanting to increase profits, will need to increase pricing. There are a few pricing methods to choose from, and what works best will vary depending on the industry and organisation you are in. Pricing tactics include product line pricing, which is where products are ‘stepped’ (increased) dependant on their production cost, benefits and features. The next pricing tactic is optional product pricing, this means adding the option of extras to a single item, for a car the extra option might mean paying more in return for heated seats. Product bundle pricing, is for when products are sold together at a reduced price such as a multi pack bag of crisps. Pricing strategies for a product or a portfolio of products include cost-plus pricing. This is a simple way of calculating the cost it took to produce the product and adding a fixed percentage for profit; this method does incorporate the marketing costs or efforts that went in to aiding the sale. Demand-based pricing is probably the consumers worst friend, this means marketers will set the price at what their research tells them that people are willing to pay. For cars, if the price goes up then people are likely to look elsewhere, but if your bus fare went up in price then for that unfortunate consumer they don’t really have another option and are more likely to pay the extra cost. Competitor pricing is when an organisation with match their competitors pricing. This includes when a company ‘matches’ the cost but at a slighter lower price for a competitive advantage. Psychological pricing, which I’m sure you will have seen everywhere, this is when you see a price at £99 - the trick is to make you think you are paying less. Here is where we think about where we place our product for the best sales, how we might get the product to the consumer, and how much distribution costs will be. Selling directly to consumers, will be cheaper for the company per item sold. We also have to think about when intermediaries are involved, how this will affect how much we sell each product for, as it will need to include logistics such as storage and transport. Sometimes the P’s will crossover, that is why price also comes into this element when we’re talking about distribution. Developing a distribution network will save you effort and time, while increasing opportunity when selling in bulk, however, it will mean you don’t make as much profit per sale. These are some of the channels you might choose. Agents, this includes manufacture’s agents, brokers, fundraising agents, and selling agents, they don’t tend to take title or ownership of the product but will receive a commission for being the intermediary. Distributors do usually take ownership of the good you’re selling, and this comes with a ‘handling fee’. However, not all distributors will directly deal with the consumer, in some cases you will be responsible for customer support. Wholesalers will support the sale with a wide range of functions such as promotions, storage, customer feedback, and credit control to name a few. Retailers are anything from corner shops to, high street shops and supermarkets, and will only deal with the end-consumer. Direct routes involve the manufacture directly dealing with either the business buying their product, or the end-consumer; rather than an intermediary. This leads onto what promotion mix will be used to promote your product or service. Here we will decide the appropriate marketing mix for our specific target audience, the right messaging to use, and consistently using this message across all tools, while also selecting what media choice will be the most effective. There are far too many aspects of the promotion mix to dive into for this blog, but I wanted to highlight some if the key points that this section of the P’s cover. Advertising covers media such as radio, television, internet advertising, these media messages follow the DRIP methodology (differentiate, Remind, inform, and persuade - the consumer to buy). Public relations which is what companies do to get a message to a large reach of people; will help organisations to develop relationships with the key influencers in the media as well as stakeholders, it’s also used to counteract negative coverage. Direct marketing is one of the most personal form of marketing that the consumer will experience, and it includes SMS, email, TV selling, or any other channel where you directly meet your target audience. Sales promotion is designed to increase sales, it might include a discounted flight ticket for a holiday, the idea it to convince people to purchase when presented with an offer, it could also be about loyalty vouchers. There it is, the marketing mix. All the tactics you need to reach and meet the needs of important stakeholders. In last week’s data collection orientated lesson, we learned how to present and gather insights from raw data. Once we have these insights into the current situation, we can then use them in forecasting; this blog discusses the benefits of forecasting in marketing. You could go to the effort to create the best research project in the world, but if you don’t know how to present this data properly then it really has no value. Your marketing research should lead to results and recommendations. Instantaneous data is becoming more apparent as we look at data that is drawn in from online sources such as surveys. In this case the person who set up the report might choose to have instant alerts meaning that once a recipient has completed the survey a direct email is sent to the creator. Forecasting is what we are able to complete after we have collected the data and research. But why exactly is it so important to marketers? Forecasting gives us the upper hand as it can identify opportunities and potential threats. The sooner we identify these, the sooner we can begin to create tactics that can be implemented to achieve better results. Looking at forecasted events will allow us to explore trends in the market, and how we can use them in what we do. Previous forecasting of say, future costs and trend predictions allow us to refer back and think about how accurate we were. We can compare our current situation to how we forecasted it to be. Analysing how accurate we were can help us improve how we forecast in the future. If we do our research at the right time and begin acting on it then we’ll keep a competitive advantage over our competition. This way forward thinking will help us to maintain a good public image, be on top of our game, serve the right product in the right place and at the right time; and also bring more money to the table. 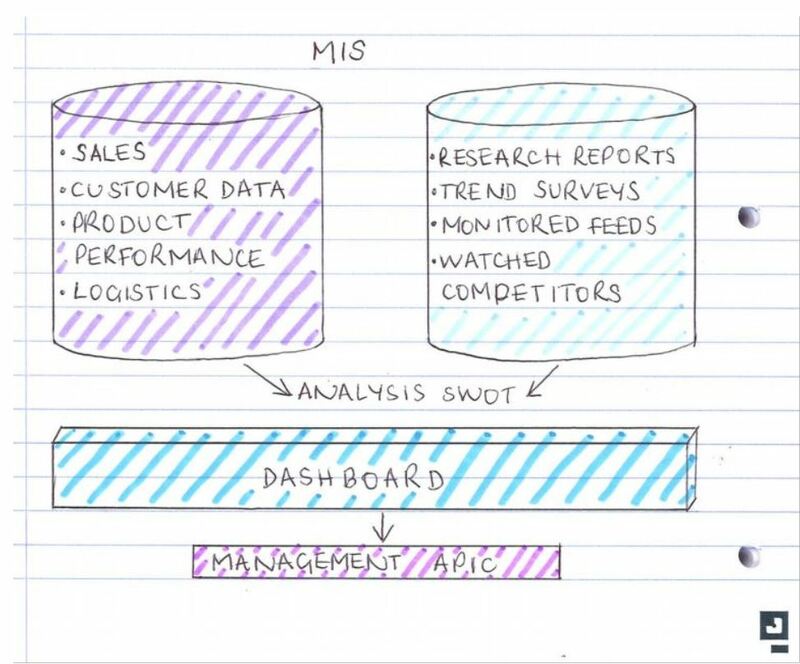 The MIS is a ‘system in which marketing is formally shared, stored, analysed, and distributed to managers in accordance with their informational needs, on a regular basis.’ Jobber, 2007. Maybe you haven’t heard of this before and it might be because your company doesn’t haven one in place, don’t worry because most companies don’t! 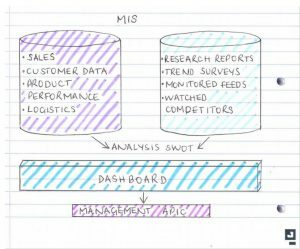 The idea is that companies input the information in the diagram below into a collaborative dashboard that people can easily view and gain insights from. These few checks on your information can distinguish whether it’s going to add value to your decision making or not, the key is not to rely on your information unless you believe it’s ticked all the boxed above. This lesson was focused on marketing information/ data and research, why we need insight as marketers, and how we can use it to make better judgements and more effective campaigns. Another aspect of reviewing marketing information is the form it comes in and how we collect it, read on to learn about what we did in week 4! Marketing information - What’s the need? To know what your customers are thinking is one reason why we need marketing information. Once you know this you can begin to imagine the steps they take before they make a purchase. 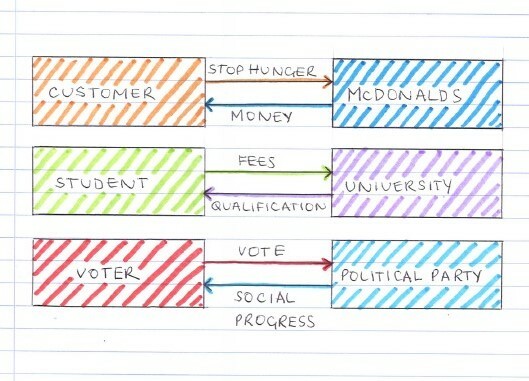 From looking at the customer journey we can identify barriers and eliminate these, for a smoother transaction. As a marker, we need stats. Why? Because a hunch just isn’t enough these days! Marketing research provides you will all the information you need to be able to back up campaign ideas; if there’s a trend then we need to be able to justify and back up with stats provided by data. Trends are what allow us stay ahead of competition, if we can identify these before they do then we have a competitive edge. Measuring how well we did can only be done if we can compare how well we did on our previous campaign, and how do we do that...? With stats of course! I must sound like a crazy stat lady, but you get what I am saying here - we do need them. Brand perception is gauged by marketing information, we use it to understand what the overall perception of the company is from an outsider’s view. I’ll move onto what we collect, and where we get later in the blog, but without marketing information we’d struggle to understand where we are as a company, and with that, we wouldn’t know how to improve. How do we get insight? Marketing research - this would be used upon starting a campaign, it involves analysis and collection of information to assist in decision making for marketing projects. Market research - this is used for when you are looking at a given market place. It will analyse the bigger picture and look into the demographics of the end user of the company’s product. Predictive - how will the customer/ market react? The data you collect will either be secondary or primary. This data should be collected first, confusing - I know. It’s the kind of data you can collect from sitting at your work computer with access to internet and previous marketing campaign data/ results, any existing data that has been collected for another purpose. It’s great because it’s free and ready to hand, but the important thing to bear in mind is that it has been collected for another purpose, it wasn’t created to answer the questions you’re asking. Secondary research can either be internally or externally sourced. To follow on from your secondary data research, comes primary data. Primary data is created specifically to achieve one objective and is sourced usually after you’ve exhausted all your secondary resources. This type of data has been created for the purpose of answering your question, making it highly relevant but also expensive as it could involve some of the following techniques. Trends are important for marketers as they help us identify what direction marketing taking ahead of time. Knowing trends before they happen allow us to understand what is and isn’t working, and then implement that change before your competition does; helping you achieve goals more effectively and giving you an advantage. The macro and micro environment can affect us in the planning stage of marketing, and this week we went over the factors and trends in the marketing environment, and how they affect it. What is micro and macro, I hear you ask...? Well, maybe you didn’t quite get that excited, but here’s what they are. Micro factors, are the factors that can directly influence your marketing, some of which are controllable by your company. Macro factors are factors that indirectly influence marketing, these are typically the factors you would see in a PEST analysis and cannot be controlled by your organisation. Once you understand how to identify the relevant factors that influence your business, the next step is to outline and evaluate these in a marketing audit. The marketing audit is a vital stage of marketing planning as it establishes a benchmark or starting point on which to grow from. 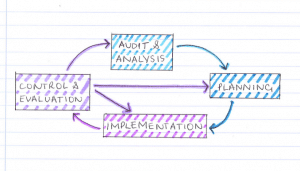 The marketing audit is made up of three elements, there are an external audit of the macro environment, external audit of the micro environment, and an internal audit. I talked more about influencers can have an impact on the business, or customer/ consumer in one of my other CIM blogs, you can read that here. [P] Political - First consider the external political environment, and any changes you can forecast over the next 3-5 years. What policies may a new government enforce, and how will that affect your company. [E] Economic - Here you are looking to spot any trends in consumption, such as taxation inflation or unemployment, and changes to exchange rates would be evaluated here. [S] Social - Changes to society, demographics, a useful resource might be the census or regular government reports to look over regional and social movements. [T] Technology - This is where you begin to identify new technologies in the market that provide an opportunity, IoT is one area that is massively growing and will shape today’s industry. Try to evaluate how your company will move with change. [L] Legal - New laws are often introduced, such as the more recent GDPR regulations put into place, how will this affect your company? [E] Ethical - Consider your ethical corporate responsibility to be ‘green’ as well as take an ethical approach, companies should understand what are growing concerns of the public and the expectations that lie with you as a business to improve situations such as global warming, can you introduce a ‘paper less workplace’ for example? Check out some of the other models and tools you can use in my marketing tool kit blog! In the second week of our digital module we discussed the marketing planning process and why it’s an important part of marketing. In this lesson we also covered buying behaviour which varies with every customer. We also took a look at how influencers can have an impact on the business, or customer/ consumer such as environmental, social and political. There are different approaches when it comes to marketing planning, and more than one model that you can use; but why exactly is planning so important? Planning is the fundamental element for identifying organisational direction, providing direction, ensuring that you can track and report on your objectives, ensuring that you cover all areas and finally, planning provides organisational focus. Planning helps businesses get past day-to-day firefighting, and educates the whole team on company goals, as well as exactly where their role fits into. 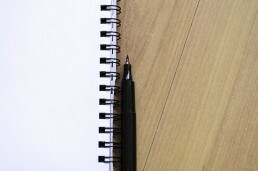 Some marketing planning will be carried out in stages, such as the action planning. 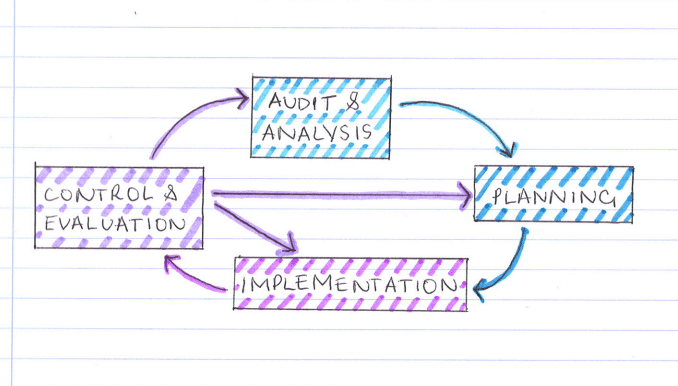 Another approach to planning is cyclical, the cycle time will vary depending on the task, an example of cyclical planning is the SOSTAC model</span. Audit and analysis - identifying strengths and weaknesses, incorporating both external and external (macro and micro) influences. 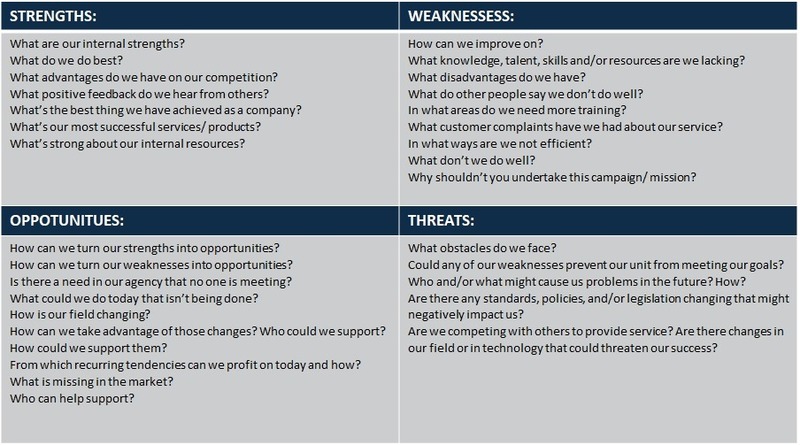 This section is also used to examine the businesses strengths and weaknesses, a SWOT tool can be used for this. Planning - this stage sets out the target results that you will later audit on, these should relate to corporate goals. While also including your tactics, schedules, budgets, and specific marketing activities. Implementation - this is where you deliver on the plan and discuss marketing and promotional mix. The success of this stage is dependent on a good ‘audit and analysis’, and success is measured in the last ‘control’ stage. Control (Evaluation) - the very stage involves measuring the overall success of meeting goals and objectives. Deliver more appropriate and relevantly: Understanding your customers wants, needs, and what influences them is key. You can then begin to develop an understanding of what platforms they are using and meet your customer where they already are. If you know your customers, it means that time isn’t wasted on content that isn’t going to move your target audience closer to the end of the funnel. Higher customer satisfaction: Marketing campaigns that deliver relevant content, will mean that prospects will have a higher interest in what their reading. From this, it will make it a better experience for the customers, but also improve the effectiveness of the campaign. Better customer/ business relationship: A customer who feels that a business understands what they really want, will hold a better relationship and encourage returning customers. Knowing your target audience also means knowing how they prefer to communicate. Whether customers prefer to make a purchase decision based on reviews or based on ad that popped up at the right time, this is something that you may need to consider. When a decision has an outcome that affects a large amount of people, there’s no surprise in the number of factors we are seeing here! The more complex decisions become, the more people are involved, and the more data is analysed. We have moved onto the next module of the CIM course (the marketing module), and begun by exploring the definition of marketing, the function of it and the role it plays within a business. A main concept of marketing lies with the idea that marketing is the management of an exchange process, we exchange our goods whether it be money, products, ideas and beliefs for non-profit organisations. This idea can be demonstrated in the diagram below. Let’s talk about marketing as business philosophy. Marketing plays a crucial role in a business, and the perception of marketing as a business philosophy is definitely one I would consider true. Marketing is where customers stem from and would certainly be considered a fundamental in most businesses. In the lesson we talked about how marketing is a catalyst for change. This means that marketing sparks an action for change and marketers should be able to respond dynamically because we are working in a fast pace environment where in order to keep up, we must adapt. Marketing is often perceived as a management process - yet, CIM explain that it is not only managers that do it. It’s more about understanding that marketing handles the responsibility for ensuring that we recognise customer needs as they need them, and quite often identifying the customer needs before they need them. A good example of this would be car air bags. Volvo identified that safety would be a major focus in the future of that industry and were able to introduce air bags at an early stage. Product sustainability in marketing, is how we satisfy customers and a good product will meet a customer’s needs and expectations. The last aspect of CIM’s definition of marketing to explain is probability, it all comes down to making money, and our end goal of marketing is effectively to turn prospects into happy customers. Product orientation - the company are high advocates of their product, they believe that their product is the best out there. The problem with this view is that the company will invest a lot of their money into the manufacturing of the product and do this because they have assumed that people will want to buy the ‘best’ product in the market. Production orientation - making the cheapest product there is may appeal to some people... but it is not always the best approach. Some companies will put a lot of time and effort into producing the cheapest product on the market to maximise profits. The major flaw here is obvious, you will potentially lose customer over low-quality items. Sales orientation - the need for continuous sales, for companies only really looking into the number of sales behind the product. Short term this is effective for income however, in the long run you could miss out on opportunities by hounding down on such a small area of the overall picture. 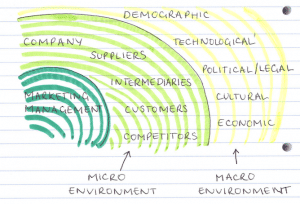 There’s an argument that there should be a section for companies who have a ‘marketing orientation’, but to adapt this view would mean you perceive marketing as just a sales support role and don’t take in to account many other forms of marketing, including strategy on thought-leadership pieces and content development especially in B2B marketing. 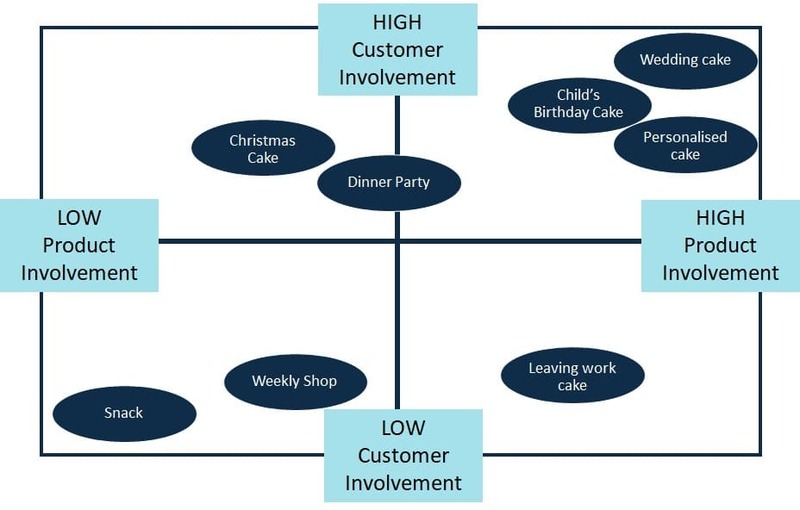 Market Orientation - this type of organisation wants to engage with their customer to build long-term relationships. This company often understands the importance of understanding what customers want from your business (market orientated companies are market driven, different to marketing orientated companies who are market driving). It’s clear that the goal here is to hold a market orientation within an organisation, so why aren’t all companies market orientated? Possible reasons include leadership issues, lack of customer insight, lack of infrastructure, or the company may have a too transactional approach when it comes to marketing. As the due date for our coursework was quickly approaching, this lesson was spent recapping on multi-channel campaigns and the models we have worked on throughout the units. We also looked at how exactly, we can in-corporate these into a digital marketing plan. The customer journey is the pathway your customer takes from the first step of understanding the problem, to end goal of making a purchase from your company. Marketing channels are your customer, and brand touch-points. 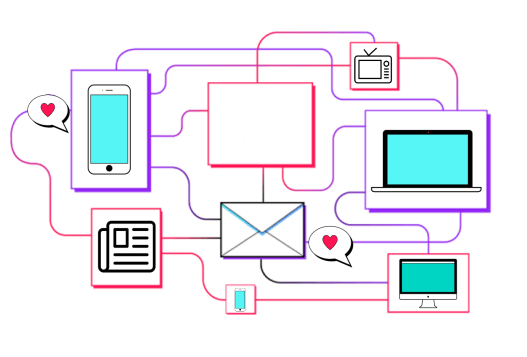 There are now so many different channels that can reach customers, and all customer journeys will be different for each brand depending on the platforms and channels your customer uses. The marketing activities on the top demonstrate the actions made by the customer e.g. reading a blog, or visiting the company website, and the marketing activities along the bottom are actions made by the brand. If executed correctly then multi-channel campaigns will increase your market reach for the same message, you would be extremely lucky if all of your audience were using the same platforms! In reality, they are most likely not, and this is why it’s important to use more than one channel to get your message across. These campaigns also give you the ability to integrate with segmentation, as well as buyer personas. This integration means that when reporting you can look at campaigns as a whole, rather than analysing in sections. This will give you a much better idea of the success of a campaign. Offline marketing activities can also be integrated and use the same messaging. However, this is slightly harder to report on and align with your online marketing activities. Multi-channel campaigns will increase the overall strength of the message in your campaign and seeing more of the same message will reinforce it. 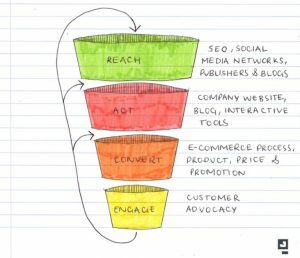 The funnel outlines various stages that a prospect will follow, starting from the first point of contact such as a form completion on a website, to when the prospects makes a purchase. 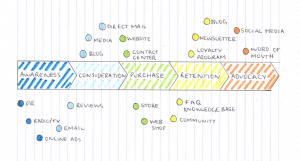 It’s a good way to visualise the customer journey and helps to demonstrate the funnel like process. Marketers should start broad and aim to capture as much leads as possible, then over time as you nurture prospects they should move down the funnel. Some prospects will drop out for reasons such as losing interest in your product, and as you get closer towards the end of the funnel you are left with the prospects who will turn into customers. 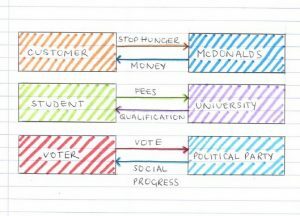 This model was introduced to aid online marketing activity planning, it integrates into the stages in the marketing funnel above. REACH: [Buyer stage - Exploration] For raising awareness, this is usually done via social media platforms such as Facebook. Blogging and search engine optimisation is another way that companies can reach their customers. ACT: [Buyer stage - Decision making] This is where the company is interacting with the customer through use of the website and they get closer to becoming a lead or customer. Blogging, content offers, and interactive tools are all ways that a company can act with customers for this stage. CONVERT: [Buyer stage - Purchase] The contact has now become a valid customer and has completed a purchase. ENGAGE: [Buyer stage - Advocacy] This is where companies should continue building the long-term relationship between them to encourage customers to become advocates. This will lead to a repeat sale or potentially recommendations to new customer who haven’t bought from you before. Planning... Where do you start? There’s a model for that! The SOSTAC model was created to help marketing planning, and it outlines a good methodical process to follow. The model helps guide you through all the necessary components of a marketing plan, it covers everything from identifying where you are now, getting where you want to be, and everything in between. [S] Situation Analysis - Where are we now? [O] Objectives - Where do we want to be? [S] Strategy - How do we get there? [T] Tactics - How exactly do we get there? [A] Action - What is out plan? [C] Control - Did we get there? SITUATION ANALYSIS: At this point in the planning process you are trying to identify where you are now, you should consider using the SWOT tool here. Key areas to focus on in the situation analysis are marketing trends and themes, how well your competitors are performing, and your company’s internal resources and capabilities. TACTICS: You’ve done your overview of how you’re going to get there, now this stage goes into the specifics of how your strategy is going to work. The tactics of your marketing plan should talk about the 8 P’s of marketing, communications mix, content plan, and a contact plan. ACTIONS: Who does what, and when do they do it? This stage assigns people with responsibilities, and tasks. It is also used to outline the processes and systems needed, internal resources and skills, and also if you require external resources they can be mentioned here. CONTROL: Optimise! This section of the plan uses your KPI’s, objectives, and web analytics to optimise your activities. Through monitoring you can measure the success of user experience, conversion rate, frequency of reporting, and the process of how you report and carry out actions. Why not visit Napier’s Toolbox if you’re interesting in producing your own tools for evaluation? Today’s lesson was focused on describing the process and stages involved for digital adoption and evaluating platforms for different contexts. The world is integrating to digital whether we like it or not, digital adoption is about understanding how to adapt with this change and use it is how intended. A very common misuse of digital it is a business’s customer relationship management system(CRM), if all of your sales team is on board and using it to track and record every sales action then it would you could safely say that you are using it to its intent. Unfortunately, this isn’t always the case, a lot of companies are not using their CRM system to its full potential, with only some employees updating occasionally. This was a model that was introduced by marketers to help better understand exactly how a buyer adopts and engages with a new product or technology over time. It’s a model that is used by businesses when they want to gage how a new product or service is going to perform in a new market. Innovator - Innovators are small groups of people that are exploring new exciting ideas and technology opportunities, the followers for these ‘gadget fetishes’ will typically have a lot of marketing content available to them, such as specialist blogs like Gizmodo. Early adopters - You would consider early adopters as the ‘opinion leaders’ because they share positive testimonials about a new product or service; early adopters seek improvements and efficiency. To get engagement from an early adopter it will require more persuasion than the innovator; However, they are receptive to change. Early majority - Followers that are likely to read reviews to understand to the product, they will look for product reviews via YouTube, YouTube is the platform the majority will find business product reviews. Late majority - They don’t tend to be keen on change, this category of consumer won’t tend to buy a new product unless there is strong evidence in the success of the product/ service or feel that they are being left out by not owning. To engage with this audience, businesses should provide marketing material, evidence and reviews from consumers in the ‘Early adoption’ stage. Laggards - Tend to prefer to ‘lag’ behind... these are not your trend setters! Laggards will only get on board with your product or service once they have researched statistics or felt pressure from others who have bought. How frequent is the content? 24/7? How many people are you reaching? How easily can you access metrics for a platform? Can you identify the success/ failure of a campaign? What platforms enable you to collaborate with others? How easily can you measure customer engagement? Does the platform allow you to measure if it was a positive or negative engagement? How efficiently can a campaign be scaled? Global? Can you run multiple campaigns at once? In this lesson we learnt about digital tools in more detail, and how they can support and enhance your marketing strategy with their strengths and weaknesses. We also looked at how digital hardware can be co-ordinated. HubSpot found that 55% of people watch video content thoroughly, appose to skimming. As for blogs where it is more common for people to skim. Apps are more than just social, they can be used for news, games, sports etc. 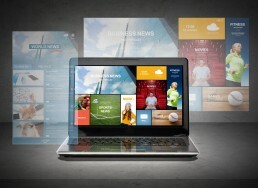 How Does Digital Hardware Fit into Marketing? Mobile devices are now used more often than desktops are for traditional browsing, and that’s why it’s important to adapt to this change and integrate marketing with mobiles. Mobile marketing interacts directly with the consumer and has great tracking benefits; Tracking is almost instantaneously and helps us to better understand user behaviour. This market is fairly new and has lots of potential, wearables are widely used and predicted to keep growing. Wearable devices provide marketers with more opportunity to give users a more personalised experience, geo-ads are an example of a personalised marketing approach. The IoT will continue to grow as more and more devices will be connected via the internet. For marketers this means they can give a more tailored and relevant experience to the user that could be based on location, and demographics. Marketers are now having to think about the direction that the world is going in, Netflix’s CEO has claimed that “broadcast TV will probably die by 2030”. Consumers now have more control and would rather pay to just watch the TV shows they want, when they want it, factors that businesses should acknowledge when considering commercial advertising. How digital tools can support and enhance marketing efforts, we also looked at role of digital marketing within the marketing and extended marketing mix. 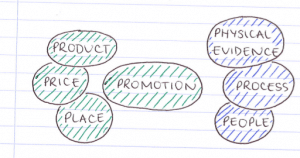 The marketing mix is your core 4P’s of marketing (Product, Price, Place, and Promotion). These are the foundations for your marketing mix, but as time as progressed we now also have the extended marketing mix. This is made up of 7P’s that are tailored for use in service industries (Product, Price, Place, Promotion, People, Process, and Physical Evidence). There are thousands of free, as well low-cost tools that can help us as marketers. The important point to remember is that integrated plans require a range of communications, which will depend on your segment and message focus. Within the past ten years, digital has grown massively and marketing can now happen on almost every communication platform. Marketing automation can seem daunting... especially when looking at the full picture from someone who hasn’t worked with it before. Marketing Automation is so valuable to your business from cutting down time spent on previous manual tasks such as the creation and sending of emails, social media posting, and of course the tracking insights that come with measuring all your marketing activities in one place. 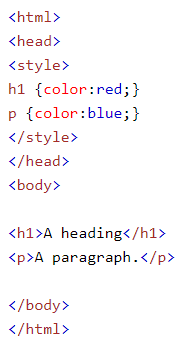 To take this back to very basics and where it all began, was of course learning the foundations of HTML. No, don’t worry... you don’t actually need to know HTML, the current popular MA platforms enable to you create emails easily using ‘building blocks’ and by dragging and dropping the content where you want it. This was one of the initial tasks I started with when I was still an apprentice at Napier; it was purely a training task that was set out for me to complete using Notepad++ as the tool to write the code. Being a keen festival goer, and having free reign over the design of the layout, I started writing the code aimed to be used as a promotional email for Wilderness festival. Progressing on my training tasks, the next step was putting this learning into practice with client work. The first client project I worked on was an eblast, which already had the structure from previous email campaigns. It was important to run a consistent theme across campaigns so, for this email it was a matter of keeping the format and knowing which parts of the code to alter. 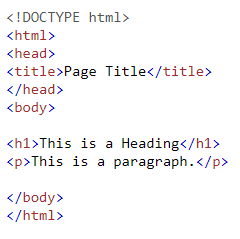 My training on HTML meant that I knew what tags to update and how this would affect the final layout. 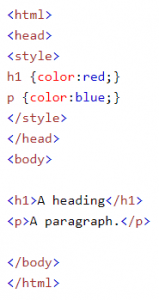 How do you check you HTML exactly? Using a HTML validator is one of the methods I regularly used when writing code, I used CSE HTML Validator, this will pick up any potential problems and flag them in your code. This is where I moved from using Notepad++ and started using our Marketing automation platform, HubSpot. In this platform I was working on client email campaigns, that originally started off as static emails that would be automatically sent to contacts that met the ‘criteria’. This could be an action such as the contact purchasing a product off the website. 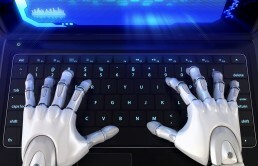 HubSpot email automation works using ‘workflows’, once a contact has completed the required action they would then be put in a workflow that follows with a series of actions. Workflows can be tailored to achieve different outcomes such as welcoming a new customer, engaging with current customers, or sending relevant content as a result of an action they made. As I continued developing more experience in HubSpot and its capabilities, the team and I at Napier worked to develop a series of emails that were designed to automatically pull through data from the customer management system. With this we could pull in customer purchasing data into automated emails that we were distributed to customers. Moving onto smart lists, and personality tokens was the next step in my development into learning marketing automation, smart lists are what we used in HubSpot to get the right emails to the right customers. Smart lists are created using smart criteria that assigns contacts into lists. It gave the customers a much more personal experience that was unique to them, we also used HubSpot’s ‘personality tokens’ to personalise the email one step more; These personality tokens can be used to include the customer’s name in the email body. Get your timings right, remember to set the times in which your automated emails are being sent, you don’t want customers getting your marketing emails at 3am!